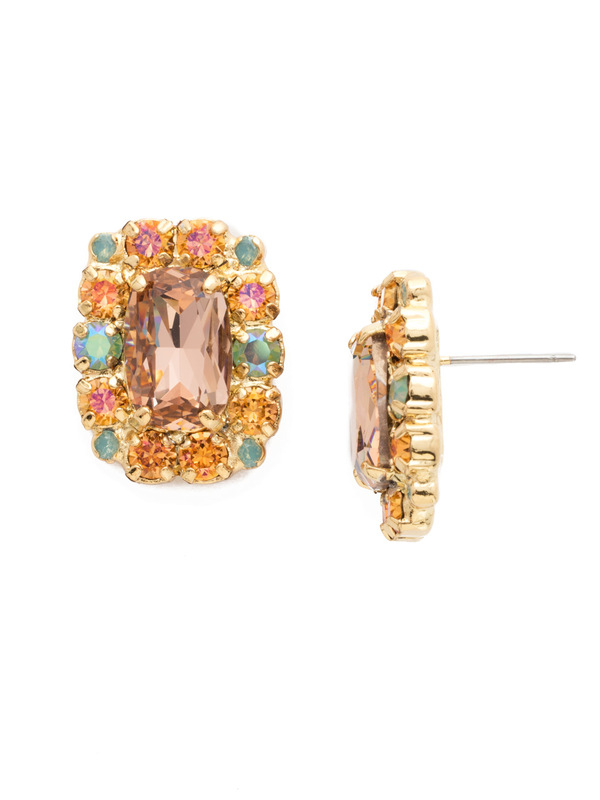 This statement stud earring features a semi-precious octagon stone surrounded by petite round crystals. Due to the nature of natural, semi-precious stones, variations in color and pattern may occur. These variations make each Sorrelli piece one-of-a-kind!